There’s too much overhead and too little immediacy. But, even for online news outlets — where overhead is low and immediacy is high — there’s too little commercial mindset. 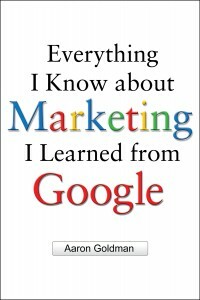 In my book, Everything I Know about Marketing I Learned from Google, I share 20 “Googley Lessons” that marketers can learn from the world’s most ubiquitous brand to better engage customers and prospects. The lesson of chapter 4 is Mindset Matters. Among the many reasons the Big G has become so successful is that ads on Google reach people at a time when they’re in a commercial mindset. Where do you turn when you’re comparing phone plans? Looking for the closest copy shop? Or trying to find a handyman? You just Google it, right? Of course, Google is also the first place people turn when they’re looking for the latest news, sports, weather or other categories traditionally served by the “news” media. But it’s those commercial queries that are so desirable to advertisers. When people search, they’re in between places on the web. They’re going form point A to point B. That’s a great time to reach people with a commercial message. When they’re already consuming content, it’s too late. They don’t want to hear from you. No wonder Google’s making over $20 billion a year in ad revenue. To be sure, Google — and search marketing in general — is not the only way to reach people in a commercial mindset. It’s just the best way, so far. However, people spend just 5% of their time online searching. Over 40% is spent with content. Accordingly, there are limited opportunities for marketers to reach people via search. So what is a traditional news media outlet to do? How can it position itself to capture the “next” dollar from the ad budget after search is maxed out? Look at AOL. The company has remade itself into a new era media firm by eliminating a lot of the overhead associated with producing content — via Seed.com — and focusing on topics that are more commercial in nature — travel, finance, auto, etc — rather than news. Accordingly, AOL has (once again) become an important venue for advertisers while also reaping the benefits of strong search rankings — after all, people are searching for all that commercial content. It should come as no surprise that AOL went this route considering a number of its top execs (Tim Armstrong, Jeff Levick, etc.) came over from Google. So, to all those publishers out there who built their businesses on news. The time has come to reinvent. The time has come to get Googley!